A weekend to celebrate Filipino heritage and design. It has been five years since I launched my very first collection at Manila Fame. In those five years there has been twelve collections, each unique in their own way, but all rooted in Filipino heritage and tradition. This coming April 21 to 23, get acquainted with Filipino design as you discover all twelve collections from ITO KISH HOME. Friends and guests from every corner of the globe are welcome to our showroom for this special exhibit. Among the pieces that will be featured are the award-winning designs like the Gregoria, Basilisa, Rodolfo, and Binhi. Each piece is unique, yet all captured recognition from the global stage. 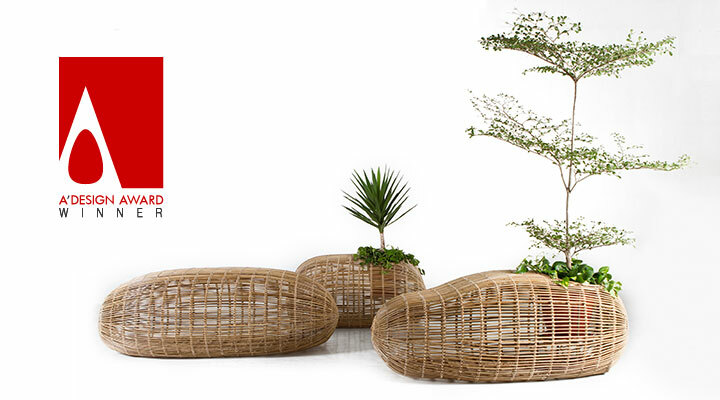 The ITO KISH HOME showroom is located at 233 Nicanor Garcia Street, Bel-Air II, Makati City. The Binhi wins a Golden A’ Design Award for Furniture, Decorative, and Homeware Design Category. The journey to garnering honors for your work doesn’t come overnight. It is for this reason that victory can be sweet. My journey for the Binhi Collection began with a moment of inspiration. I find that the environment can always be a source of inspiration. For the Binhi it was a seed, with its organic form, that quickly caught my eye. The rounded forms are beautiful. Its purpose is also inspiring, as the seed, or binhi in Filipino, represents growth and the beginning of life. The result is a three-piece collection, rooted in the purpose of nurturing growth of life, converging people together, and fostering one’s awareness. The smallest piece nurtures vibrant crawling greens, while the medium-sized one supports a growing tree. The third and largest piece fosters human relations by seating multiple people. The Binhi’s Golden A’ Design Award is our sixth and highest honor received. We are elated by this generous recognition.